Endothermic - You guessed it – this is when the reaction ‘takes’ (usually heat) energy from the surroundings, for its own devious purposes. You could think of it as energy entering the reaction. 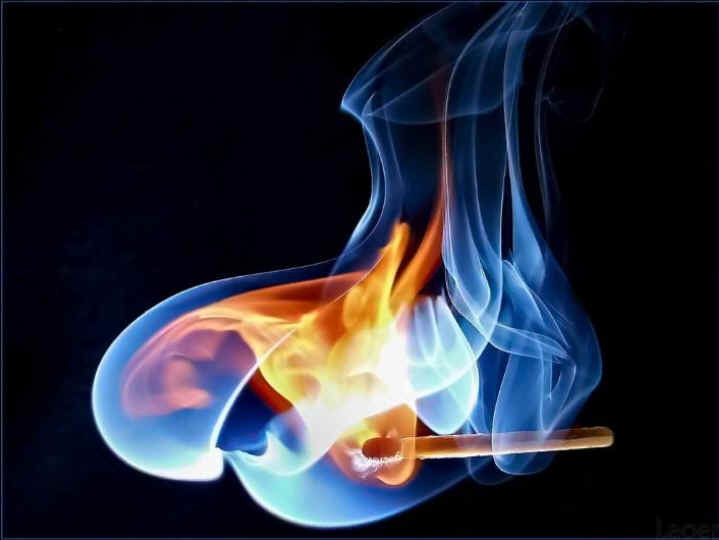 Combustion reactions – burning things! Neutralisation reactions – reactions that involve acids and bases – making some salts causes this! In the same way as above, you may have to talk about an endothermic reaction. The main candidate for an endothermic reaction is a thermal decomposition reaction. This type of reaction is where a substance breaks up into two or more separate parts; it’s endothermic because it requires a constant input of heat for the decomposition to continue. The only other major type of reaction that is endothermic is occasionally when you dissolve some solid compounds into water. The temperature of the water decreases as some endothermic changes happen in the dissolving process.